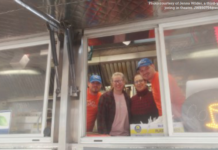 When Laura Pekarik filed a lawsuit challenging Chicago’s strict food truck rules, she expected the battle to play out in court. What she didn’t expect was for the city to bring her family into it. 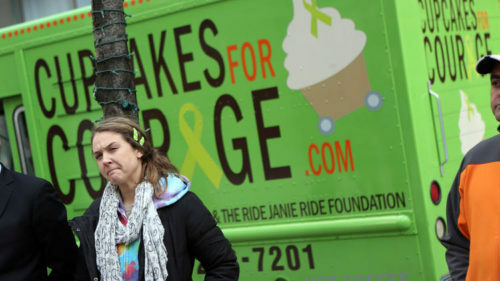 Pekarik owns Cupcakes for Courage, a mobile cupcake shop that makes stops along the streets of Chicago almost every day. 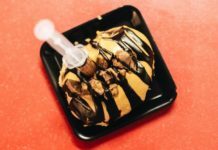 She donates 10 percent of sales to cancer-related charities as a way to honor her sister Kathy, who was diagnosed with lymphoma in 2010 and now is in remission. 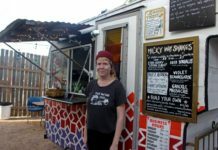 Her sister inspired the business but isn’t a part of it. Yet several weeks ago, the city tracked down Pekarik’s sister at her home, more than 50 miles outside Chicago. She was served a subpoena and ordered to turn over emails, text messages and other documents. 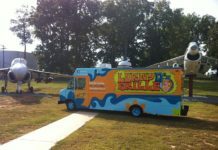 City spokesman John Holden said the information sought in this and other subpoenas is needed so the city can defend the food truck regulations in court. But since Pekarik’s sister has nothing to do with the business — and has said as much to the city — her attorney, Robert Frommer, says the subpoena amounts to retaliation. 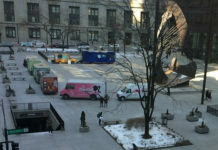 “The city’s tactics are nothing more than an attempt to bully the sole food truck owner courageous enough to stand up against City Hall,” said Frommer, of the Institute for Justice, a Chicago-based advocate for entrepreneurs’ rights. 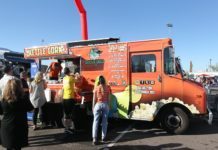 At issue in this lawsuit is the rule that makes it illegal for mobile food vendors to park within 200 feet of brick-and-mortar businesses that sell food, and the requirement that food trucks be outfitted with a GPS so they can be tracked at all times. Violations of these rules result in fines as high as $2,000. Pekarik’s lawsuit argues that these requirements, which are just some of the constraints on the burgeoning industry, impede her ability to succeed. 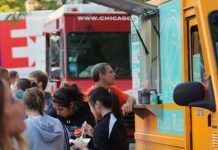 In 2012, when the Chicago City Council reaffirmed the 200-foot rule and added the GPS requirement to the ordinance, food truck owners pleaded with the city to strike a better compromise. They warned these regulations were highly restrictive, and could put many of them out of business. 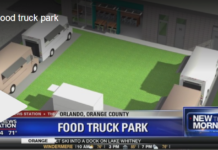 Case in point: In the two years since this lawsuit was filed, two other plaintiffs in the case have been forced to shut down their food truck operations and move out of the state. 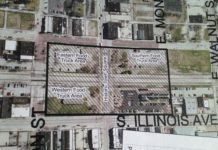 But the city ignored them, and officials were candid about why: The purpose of these rules is to protect existing businesses from competition. 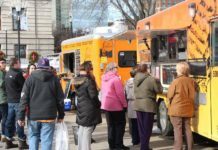 “We want food trucks to make money, but we don’t want to hurt brick-and-mortar restaurants,” said Ald. Walter Burnett Jr., 27th, before he voted for the ordinance. If this is the reason for the stiff regulations, then that’s what the city should tell the judge. The city shouldn’t need to hassle Pekarik’s sister to make its case. 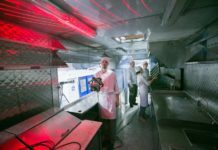 The city has also subpoenaed Amy Le, a former food truck owner and co-owner of Saucy Porka restaurant; Danny Herrera, head of the Illinois Food Truck Association and owner of Windy City Patty Wagon; and Eugene Lorman, of TruckSpotting. They’ve been ordered to turn over everything — from conversations with each other to documents or records of conversations with the Institute for Justice. The 200-foot rule has been on the books for more than 20 years. Theoretically the city has two decades of evidence to defend this ordinance. 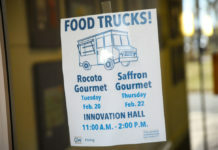 What new insights will be gained by reading email conversations between food truck owners, or between entrepreneurs and the Institute for Justice? And how do any of these conversations affect whether the ordinance promotes health or safety? When asked whether some of the subpoenas were excessive or invasive, Holden insisted they weren’t. He said if someone felt they were, he or she should go to court and ask a judge to block the subpoena. Legally, that’s correct. But consider the situation from Kathy’s point of view: She’s a recent cancer survivor and new mom. She lives more than 50 miles from the city. 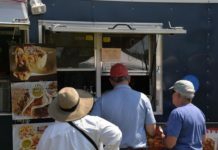 She doesn’t have a food truck, a lawsuit or an attorney. Now the onus is on her to make this unnecessary matter go away. Yes, subpoenas are part of the legal process. 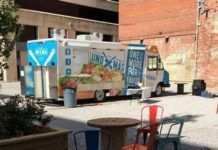 It would be unsurprising for city attorneys to seek information about how this ordinance affects food truck owners’ ability to thrive. But the subpoenas issued to Pekarik’s sister and the others go too far. Just because something is legal does not mean it is right or necessary. The city should rescind the subpoena for Pekarik’s sister, and narrow the scope of its other subpoenas. Defend the ordinance on its merit. If the case can’t be won without strong-arming innocent bystanders, then perhaps these rules should never have been on the books in the first place.